We accept new members all thoughout the year. Please review our Visitor Resource area for more information about our troop. Troop meetings are held weekly each Tuesday from 7:30 pm to 9:00 pm at Shepherd of the Hills United Methodist church. BSA has updated our Youth Protection Training. The new training is now 4 modules, taking 90 minutes to complete. They can be taken one at a time or all in one sitting. Everyone must take the new YPT by October 1 to be registered with BSA. This will be an important piece as we begin the recharter process in October. Please go to my.scouting.org and log in to take the new training. Once completed, please email a copy of you certificate to Michelle Allen at mmallen1602@yahoo.com and she will enter your training into our troop system. Scouts, prepare the needle and thread! 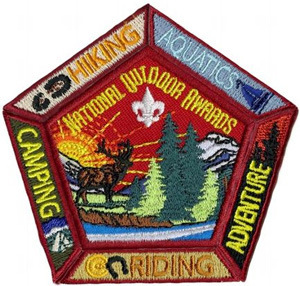 Sustainability and Cooking merit badges will join the list of Eagle-required merit badges, the Boy Scouts of America’s National Executive Board announced. Troop 1602 needs your help!